In preparation for our upcoming assessments, we want to provide you with information on testing windows and resources. 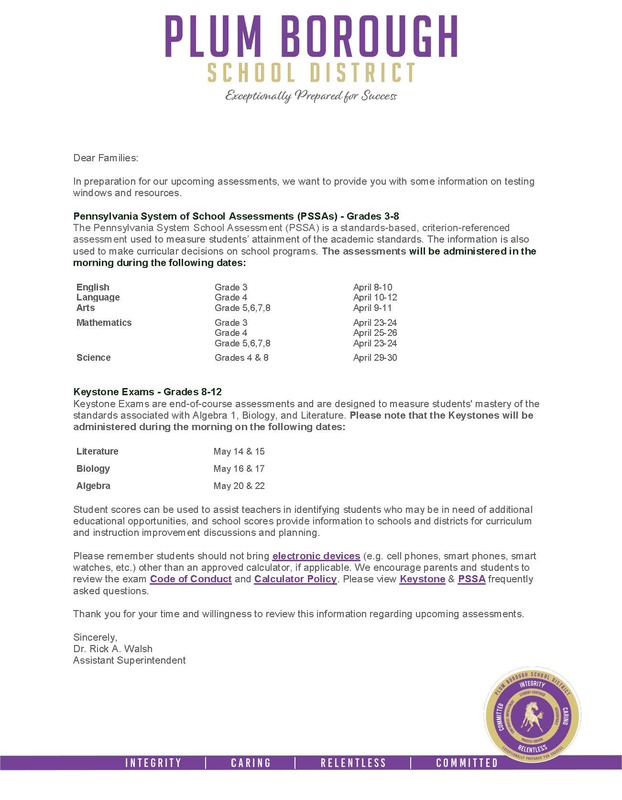 For further information regarding the Pennsylvania System of School Assessments (PSSA's) and Keystone Exams. Please see our parent letter below.